This morning, when I first stepped on the DLR and it was fairly quiet, I decided to add to my collection of profiles with this young lady. I only had the space between two stations, as the next one would fill the carriage with passengers and I really don’t like people looking at me when I draw. They think I can’t hear their comments with my headphones in but I can, and some people can be rude. 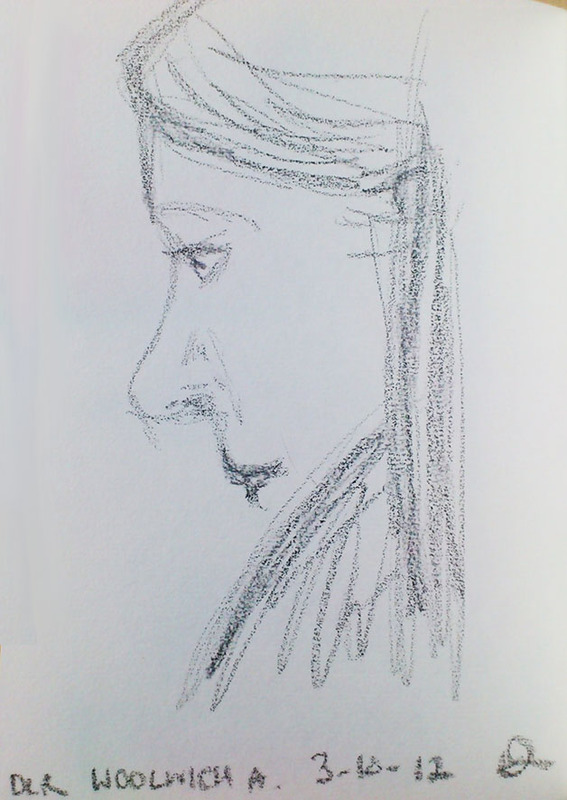 Trains are generally quiet so not so bad, the DLR rarely gets a look in the sketchbook. But I digress, here is the purpose of today’s post, drawn in marker crayon.